Cyril Ramaphosa said the former president represents the nation’s desire for a better future. Opposition parties claim Cyril Ramaphosa told them the deal was off because the ANC didn't want it. The National Assembly Speaker said she has no regrets about what she did last week. She said she is staying put in her roles as National Assembly Speaker and ANC chair. MPs used the opportunity this afternoon to take personal swipes and settle scores. Lesotho authorities haven’t named the police officers they accuse of sabotaging Tom Thabane’s security. A consensus with opposition parties has been reached, but it remains to be seen how long this will last. The party says Zuma should be censured for failing to answer MPs questions as the rules require him to. EFF MPs disrupted Parliament in August. 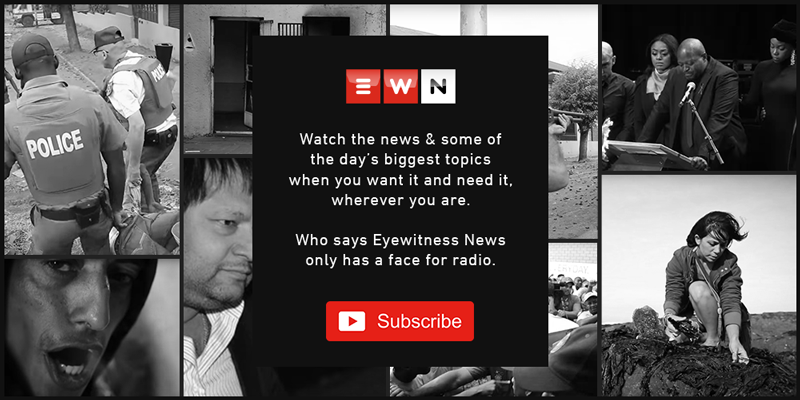 Picture: Screengrab EWN. Ramaphosa said in the meantime, disciplinary action against any MP will be held over. The meeting at Tuynhuys aims to improve relations between the parties and the executive. The victims’ remains are now on their way to various mortuaries around the country. The alleged mercenaries have reportedly accessed a stash of weapons waiting for them in Lesotho. Lonmin defended the deputy president, saying he only wanted to stabilise the situation and end the killings. Ramaphosa says MPs screaming & shouting complicates the relationship between Parliament & the executive. Cyril Ramaphosa says concrete proposals on prompting market stability and income inequality are needed. Shivambu said he raised his middle finger to show his disgust at the loss of workers' lives at Marikana. The deputy president has urged for patience in the face of delays in the repatriation of bodies. Cyril Ramaphosa said the Nigerian government’s investigation has to be respected. The ANC says Numsa is wrong to claim that it has deviated from the Freedom Charter. Ramaphosa was speaking at the launch of the International Aids Conference 2016.